B.C. Premier John Horgan says he's going to ask the Alberta and federal governments to consider investing in Canada's refinery capacity instead of the Trans Mountain pipeline expansion during a planned meeting this weekend. Both governments have suggested they could become stakeholders in Kinder Morgan's $7.4-billion project after the company blamed political uncertainty for its decision to reassess the pipeline's future. Alberta Premier Rachel Notley has even said her province is prepared to buy the Trans Mountain pipeline outright if that's the only path to getting it built. But Horgan argued a wiser investment would be to build more refineries so oil sands bitumen can be turned into fuel and used at home, rather than diluted and shipped overseas. "If they have disposable billions, I would suggest a better course of action would be to invest in refining capacity so that we Canadians can benefit from the jobs and we Canadians can benefit from this natural resource rather than sending it in raw form to another jurisdiction," Horgan told reporters Thursday. "I think it's a reasonable way forward and I would be absolutely delighted to participate." “There’s not a Canadian that wouldn’t rather put Fort Mac Strong in their gas tank than buying from Venezuela and Khazakstan and Nigeria,” May said this week. Horgan said he'll be raising the possibility during a Sunday meeting with Notley and Prime Minister Justin Trudeau, but that he's been pushing the idea "for months" without success. Trudeau is appearing at the meeting despite a planned multi-country trip, which will begin at the Summit of the Americas in Peru this week. He's flying back to Ottawa to meet the premiers before heading to France and England. Meanwhile, pressure is mounting on the B.C. government to give up its fight. Earlier on Thursday, a number of business groups joined forces to call for an end to the pipeline impasse, arguing the ongoing delays are harming Canada's reputation as a safe place to do business. Notley has also threatened to throttle oil flows to B.C., a move that could hike gas prices on the West Coast even higher than they already are. "I don't feel there's any need for saber rattling, for provocation or for threats," Horgan said. "But we are where we are, and I'm happy to hear what the Prime Minister and perhaps Rachel Notley have to say." 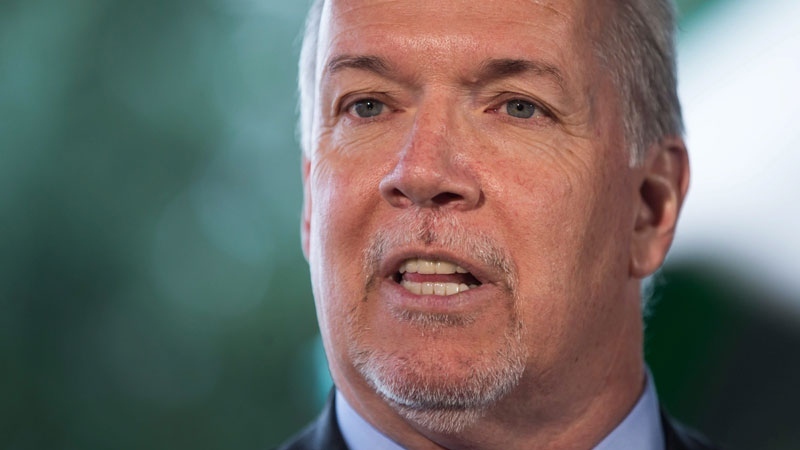 Horgan said his government is strictly "following the rule of law" in its opposition to Kinder Morgan's pipeline, and has been issuing permits to the company as requested. But B.C. is also preparing to ask the courts to clarify whether it has the right to restrict diluted bitumen shipments to its coast on environmental grounds, a constitutional question that would have wide-ranging impacts. Horgan has called on the federal government to join the reference case to help settle the matter once and for all, though Federal Finance Minister Bill Morneau rejected the idea on Wednesday. 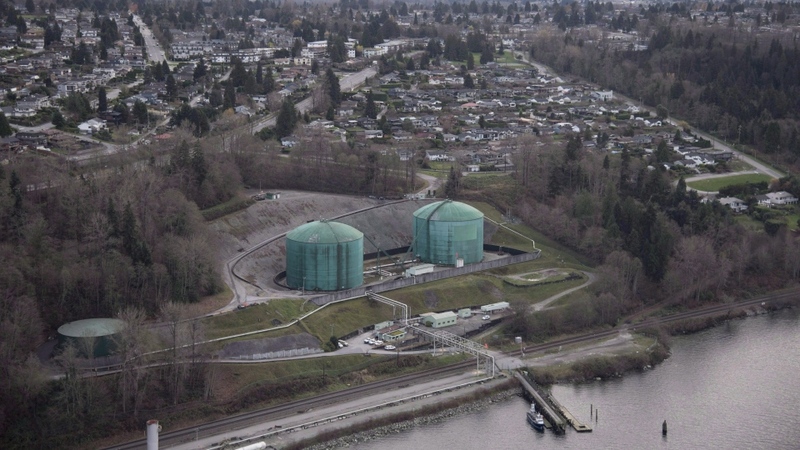 It's unclear when the case could be heard, and Kinder Morgan has set a deadline of May 31 to receive assurances that the pipeline will be able to move forward. Thailand cave rescuer needs his own rescuing in U.S.